In the world where zombies rule everything there is no safe place for a regular man. You have a mission, but zombies won't let you complete it or pass by safely. 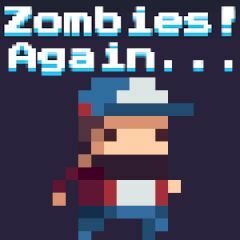 Fight your way through dangerous levels, shoot or punch zombies and collect hearts to replenish health. Jump or roll to dodge fire, spikes, gaps and many other traps.